Linnea Frank is a Swedish born artist currently living in Cape Town, South Africa. 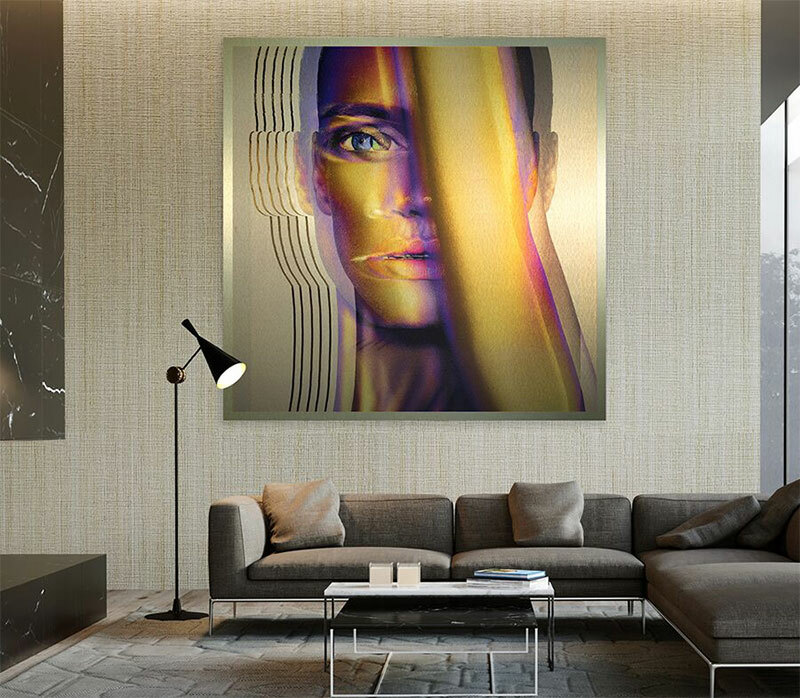 She is most known for her unique style of photography, both in fashion editorials and also her striking (and often very large) limited edition photo art prints on Metal. After her Studies, Linnea spent 3 years assisting Swedish photographer Bingo Rimér, before opening her own studio in the middle of Stockholm. There her client base grew into a diverse group of brands and artists, including musician Wyclef Jean and art collaboration with & Jack Daniels Whisky. In 2014, a new chapter began: Linnea decided to sell everything she owned, and move to the creative and colourful city of Cape Town, South Africa. This has proved an incredibly positive decision for her work, as it has added to, inspired and influenced many of her pieces with African imagery and symbolism. Utställningen hänger i galleri, matsal och foajé. Öppet dagligen. Har du frågor, funderingar eller vill köpa något så be någon i receptionen hjälpa dig.